Dr. Jeffrey L. Woodward is a board certified physical medicine and rehabilitation (PMR) specialist affiliated with CoxHealth in Springfield, Missouri. Dr. Jeffrey Woodward attended medical school at University of Texas after completing his undergraduate studies at Texas A&M University and his Masters of Science at North Carolina State University. Dr. Woodward graduated from a four-year Physical Medicine and Rehabilitation (PMR) residency program at the University of Arkansas for Medical Sciences in Little Rock. 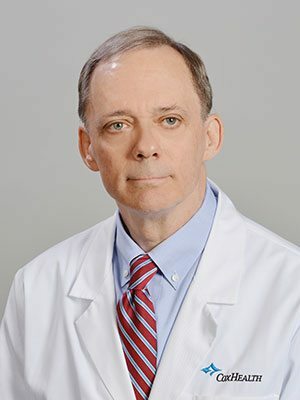 Following his residency training, Dr. Woodward served as medical director of the Mercy Hospital Rehabilitation Department in Charlotte, North Carolina, providing both inpatient and outpatient rehabilitation treatment. Dr Woodward moved to Springfield, Missouri in late 1992 where he joined a private practice group and has continued to serve the area in non-surgical spine, musculoskeletal, and peripheral nerve care. He offers a wide variety of treatment options including electrodiagnostic studies, spine and peripheral joint injections, and spinal decompression.